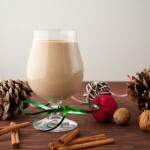 Homemade eggnog sweetened with coconut sugar and made from a combination of almond and coconut milk. My Mom taught me to separate the whites from yolks using this method. By far the easiest way! Slowly add approximately ¼ cup of the hot liquids to the egg yolks while whisking continuously. Continue until you’ve added about one cup of the liquid mixture to the egg yolks before transferring the yolks to the pot. 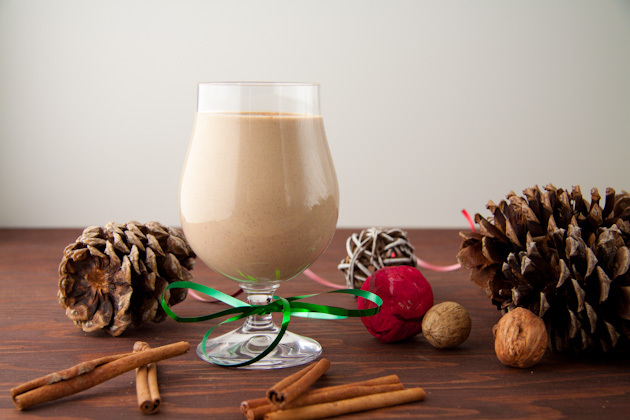 If you plan on drinking the eggnog right away, opt for less nutmeg (1/2 teaspoon is best). If you’re planning on letting it sit for 1-2 days before enjoying, go with 1 teaspoon. I found that the longer it sat, the more the flavor developed instead of hitting you with a strong punch of nutmeg!